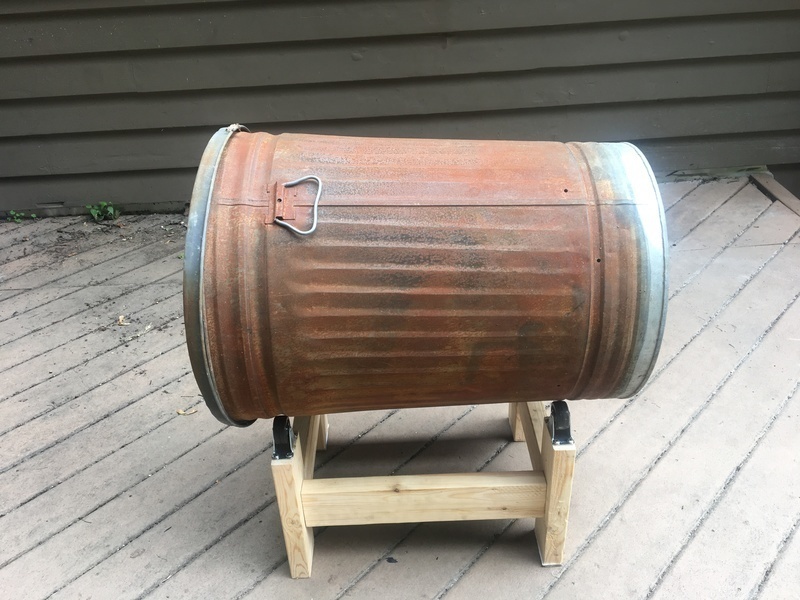 NEW GUIDE: DIY Compost Tumbler @adafruit #SaveThePlanet « Adafruit Industries – Makers, hackers, artists, designers and engineers! In a new tutorial in the Adafruit Learning System, we get down and dirty by chopping up some wood and installing some wheels to make a cheap, simple and efficient compost tumbler. For those that compost “aerobically”, a tumbler is a great way to “aerate” your compost without having to physically turn the compost itself. The tumbler works with most compost barrels or trash cans and can easily be integrated into your current compost set up. If you don’t have a can or barrel to compost in and are looking to find one inexpensively, check with a local car wash business to see if they have any extra empty soap barrels you could wash out and use. Old trash cans work great too. Besides saving the planet, you also get rich, nutrient filled soil to grow things for your garden: win-win! Learn about all this and more in this new guide on the Adafruit Learning System now. Do you compost or conserve? Let us know what you’re doing in the comments below!